Happy 2014. Isn’t it crazy that it is actually 2014? The year ended in a complete flurry. The month of December seems to pass by at light speed. Before you know it, its January and we are in a New Year. Thanks to the month going by faster than normal, I have a normal of Holiday-esq posts that you will now get to read about. Consider yourself lucky…the Holidays just keep on giving. And, their first gift to you, comes in the form of Gingerbread Twix. Delicious Little Morsels of Goodness. I have learn to appreciate the flavor of Gingerbread over the last few years. In the past, I always found gingerbread to be lacking and simply something that was there. However, as my palate has expanded, I have found gingerbread to be an intriguing flavor…one in which has so much depth…and one in which I wish to pursue. I purchased this bag of Gingerbread Twix in probably November and had no problem eating the bag pretty quickly. I did indeed leave one piece so I could eat & properly blog about it at the right time. Which is now. These Twix come in a standard pack and have a lovely little Gingerbread on the front of the bag. At first glance, this looks like a typical Twix. The secret with these, comes with the Caramel. This is not your typical Caramel but rather Gingerbread flavored Caramel. And ohh yes, its tasty. I enjoy eating the Twix all in one bit but, biting it in half allows you an extra few moments with the array of flavors. The Twix itself stays consistent with a normal Twix. 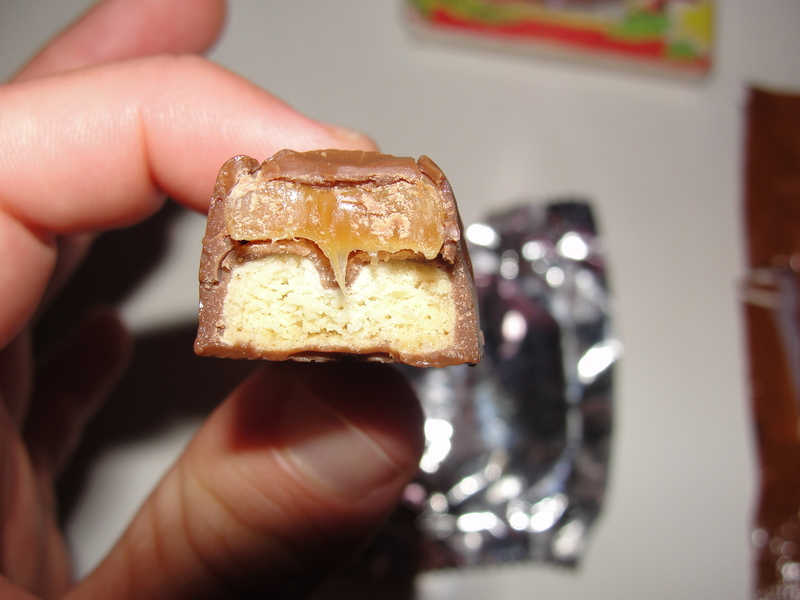 But, thanks to the Caramel, this Twix is set apart. The flavor of the Caramel is so perfectly Gingerbread. As you chew the Twix, the hints of ginger, nutmeg and cinnamon all play through. I find the caramel to mix in so perfectly – perhaps even more perfect than in a standard Twix – with the overall flavor of the candy. The simple & basic chocolate and cookie allow the Gingerbread Caramel to really be the star. You will have no problem recognizing that this Twix is Gingerbread. Simply delicious. Your mouth is left feeling like the Holidays no matter what time of the year it is. 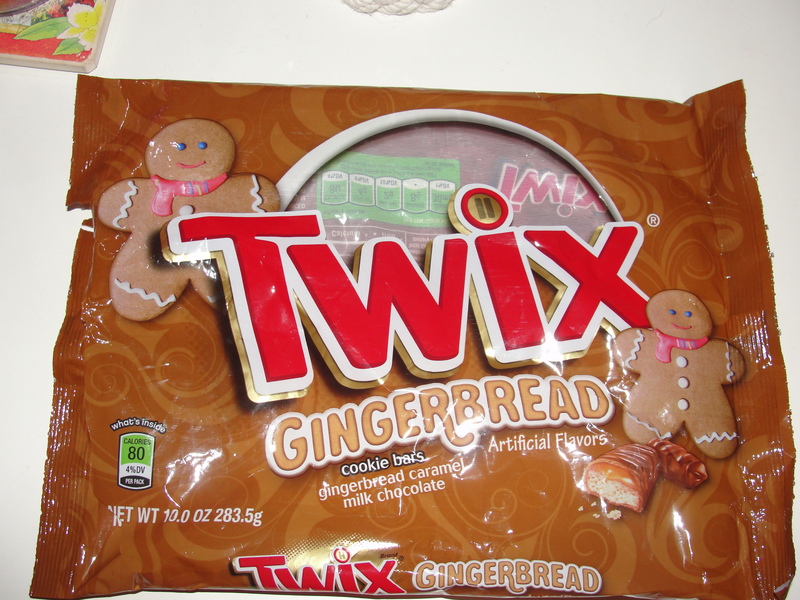 I have always enjoyed the Twix line of candies and find the Gingerbread Twix to be an awesome addition to this line. The subtle, distinctive flavor of Gingerbread is truly the star with this Twix. The perfect usage of Gingerbread Caramel, combined with the simple chocolate & cookie, yields one heck of a product. One heck of a product that I wish I had more of. This is a star in itself and is sure to become a staple to the Christmas Candy fun. 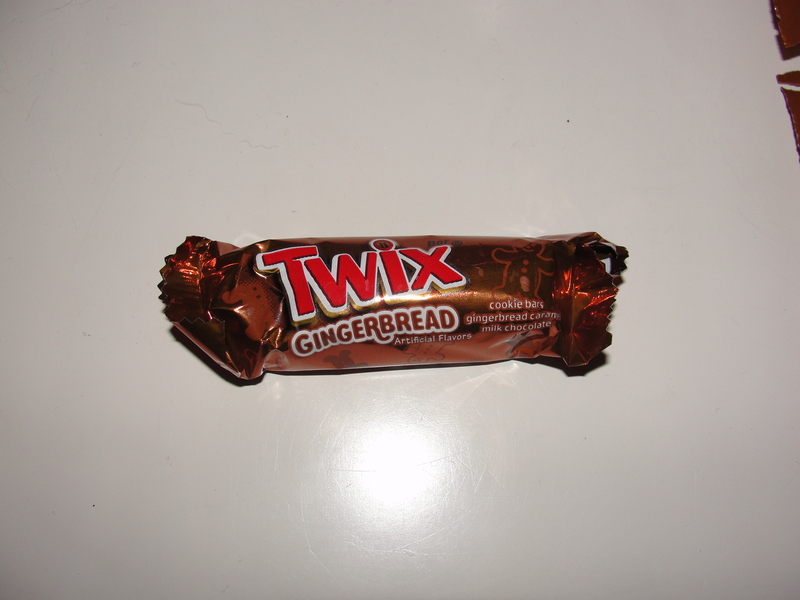 I can surely say that Gingerbread Twix are Delicious Little Morsels of Goodness.